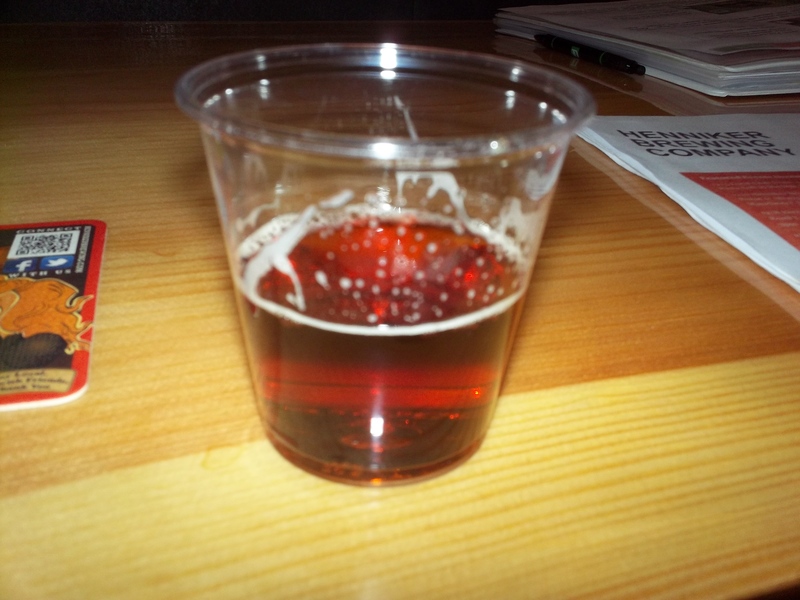 bar – Breweries, Wineries and the fun in between! 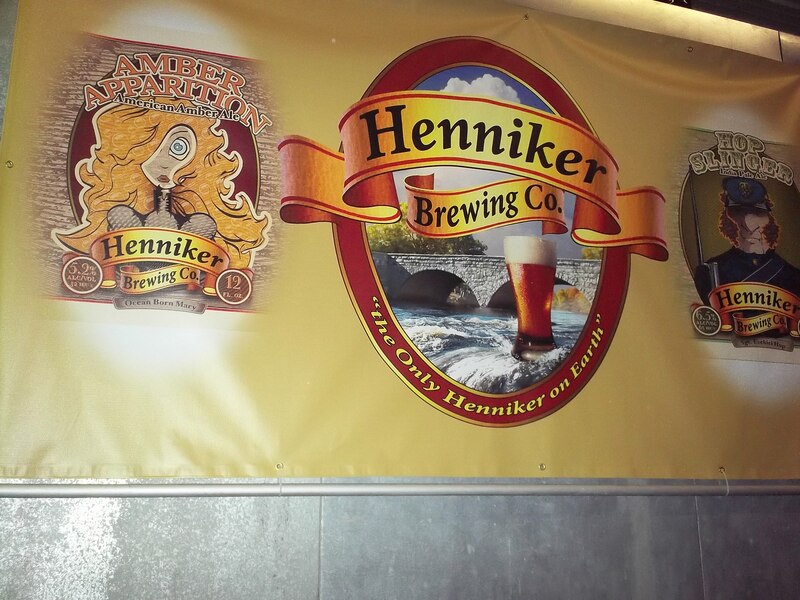 We went to Henniker Brewing Co. two weeks before Christmas. Located in Henniker, New Hampshire, it was slightly difficult to find, partially because the GPS said we were already there before we were, and partially because their sign wasn’t very large. 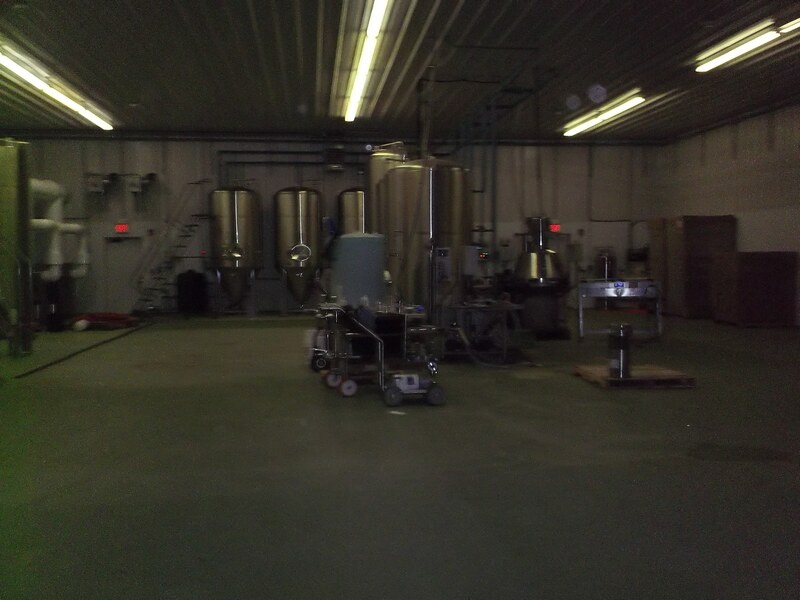 The brewery is owned by David Currier. He owned the building and wanted to do something fun and cool to benefit the town. 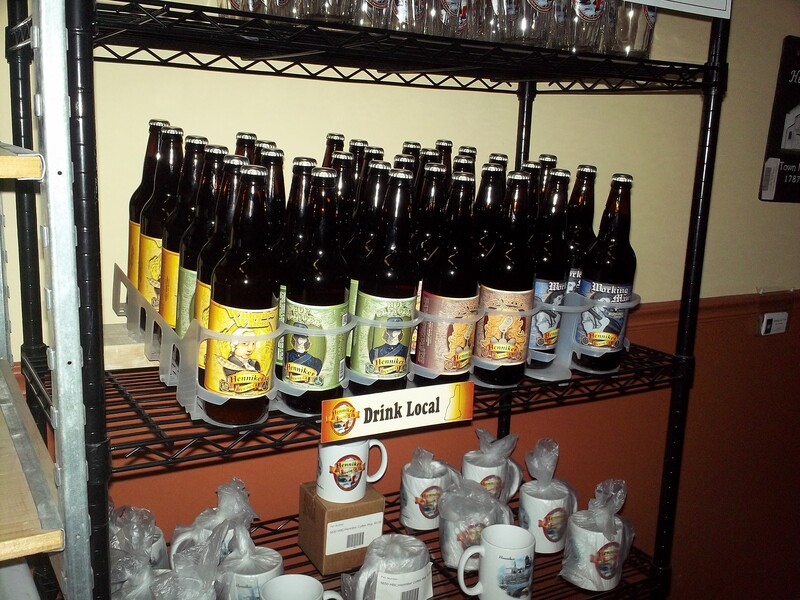 Henniker Brewing Co. has a small bar, but also has a handful of tables for you to do your tasting. When we arrived, there were quite a few people there, some made a space for us at the bar. Their tasting room is not open for often at this time, but with seeing how busy they were, look for additional hours to be added with their growth. 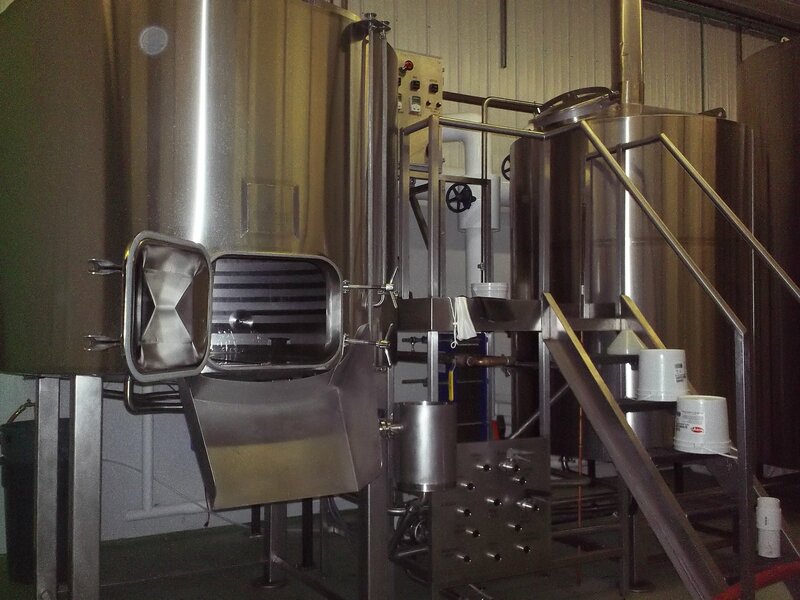 If you want more information on the brewery, the brewing process and the beers, go on a tour while you are there. 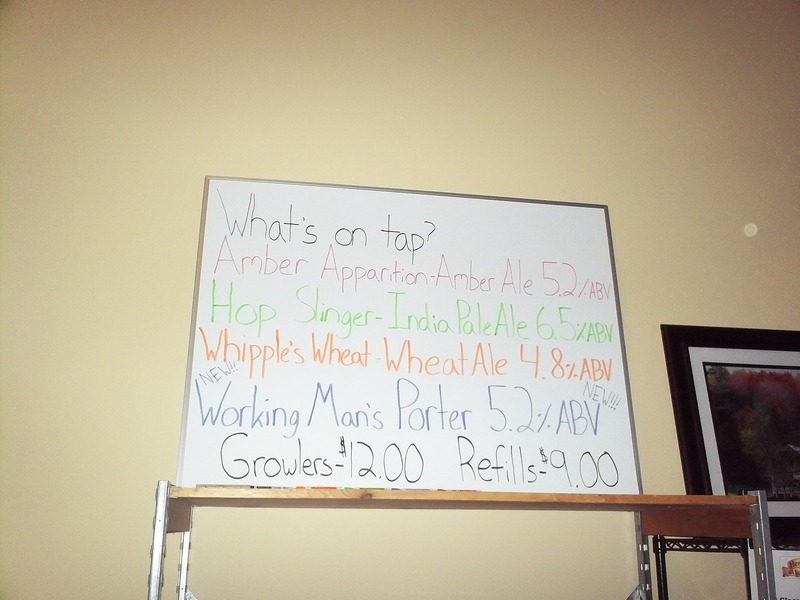 Whipple’s Wheat: 4.8% good wheat beer, dry hopped and citrusy. Working Man’s Porter: 5.2% good flavor. Mark- tastes a little chocolately almost toasted or roasted. Good winter beer. 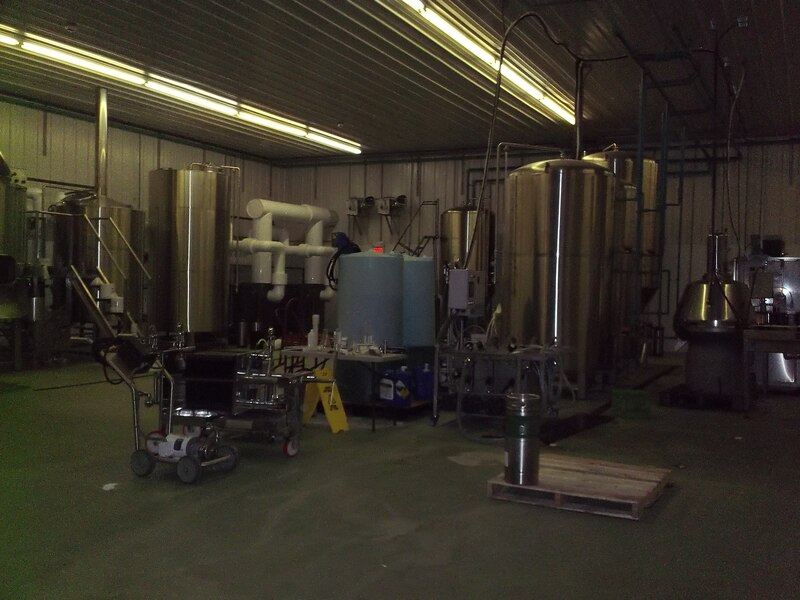 Very busy place, many people came in while we were there to refill their growlers. By the time we left, the line was almost out the door! 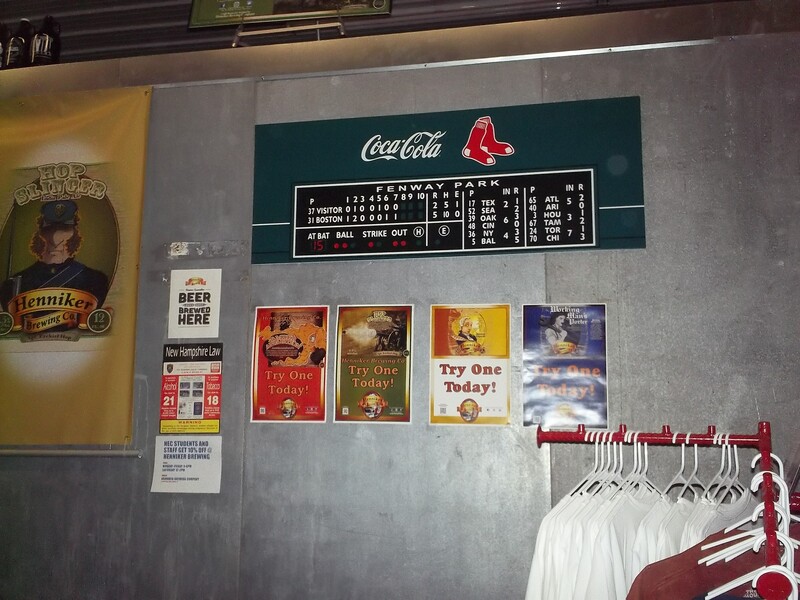 The brewery opened “a year and ten days ago” as of our visit on 12/14/13. Construction to convert the building began in December of 2011, with their first batches on December 21, 2012 and released in January 2013. Their initial brewer was James Moriarty, who had been a brewer for Cape Cod Brewery and was commuting from the Cape. When it came time for James to move on (and stop with the awful commute! ), Chris had recently left White Birch and was recommended for the position. Chris told us about how the October 2013 government shutdown impacted them. 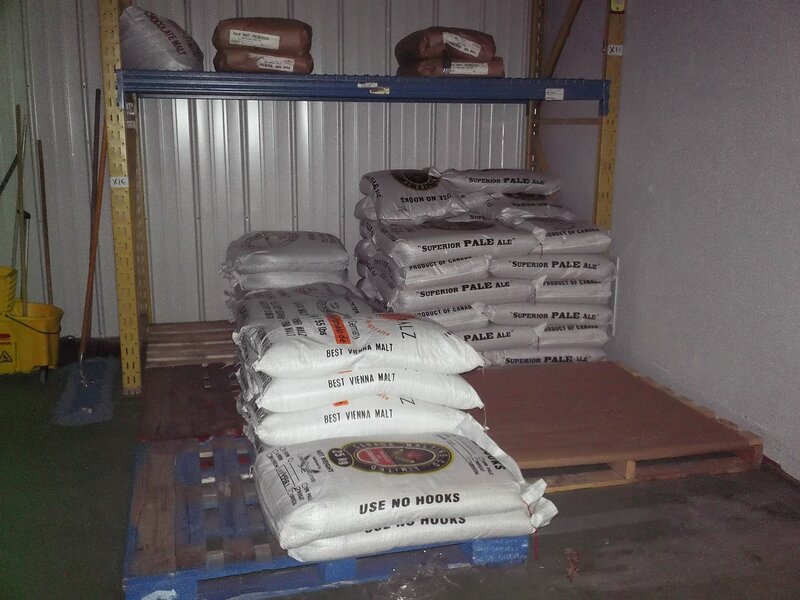 They are currently planning four seasonal beers and had hoped to have the winter beer out already. Due to the government shutdown, they were still waiting for labels to be OK’d. 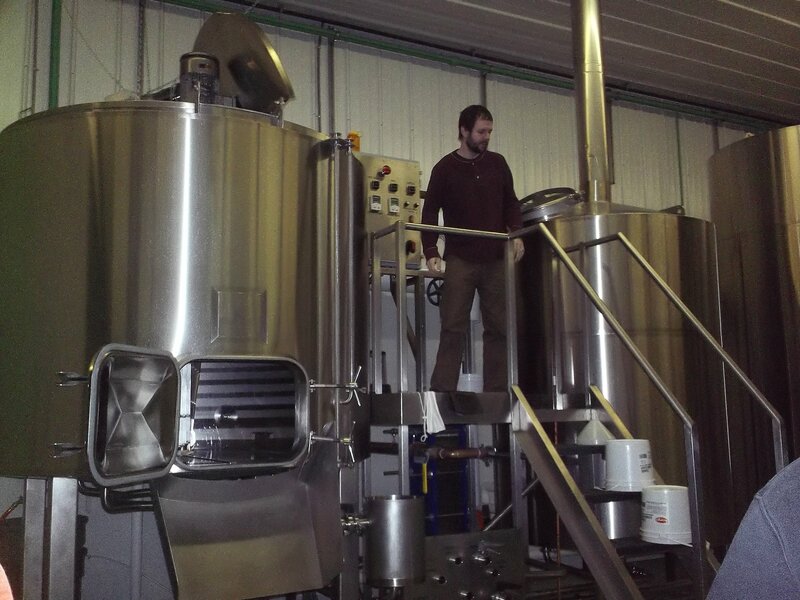 They are now looking for their winter beer to be released in January 2014. Spring- Hop 4 Double IPA. Chris has been given the green light to change the flavor yearly. 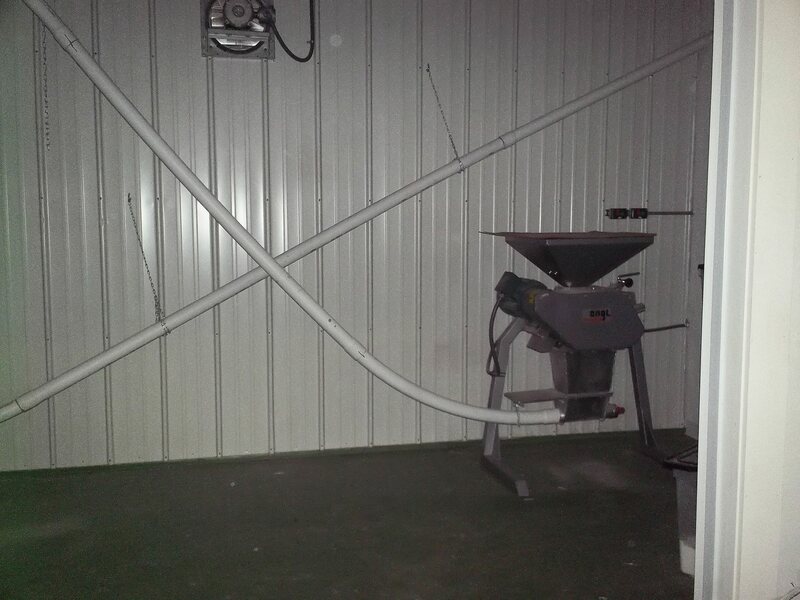 The brewery gets their water from artisanal wells, located behind the brewery. It is neutral water, which Chris is able to build to any chemical composition, such as London water for the Porter. They buy malt from all over the world. When they make their porter, they make it similar to a 1856 London brewery would, using 3 malts- pale, brown and black. They also use artisanal malts, which can be different colors because of the way they are roasted. 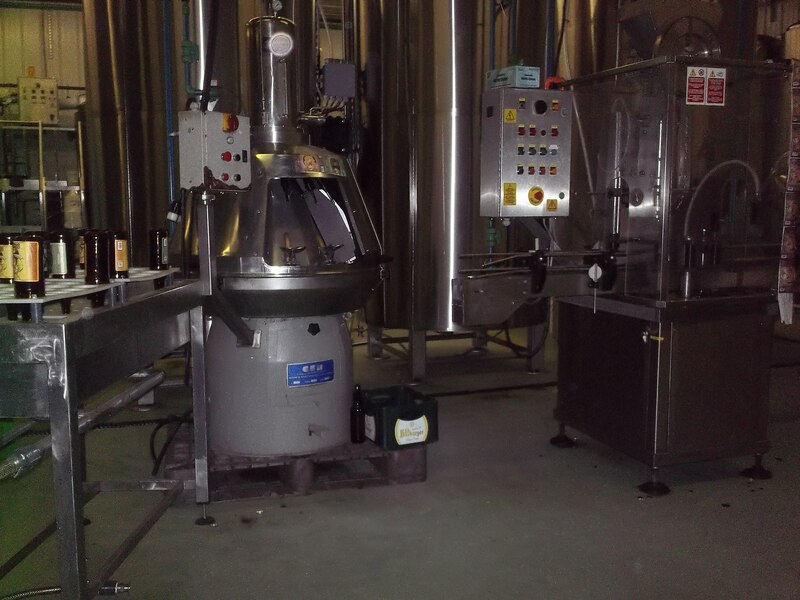 We were shown the mill to grist case, which barely breaks open the malt. Mark and I felt that the more of a craft brewery it is, and the more educated the tour guide is (here being the brewer), the more you learn during the tour. 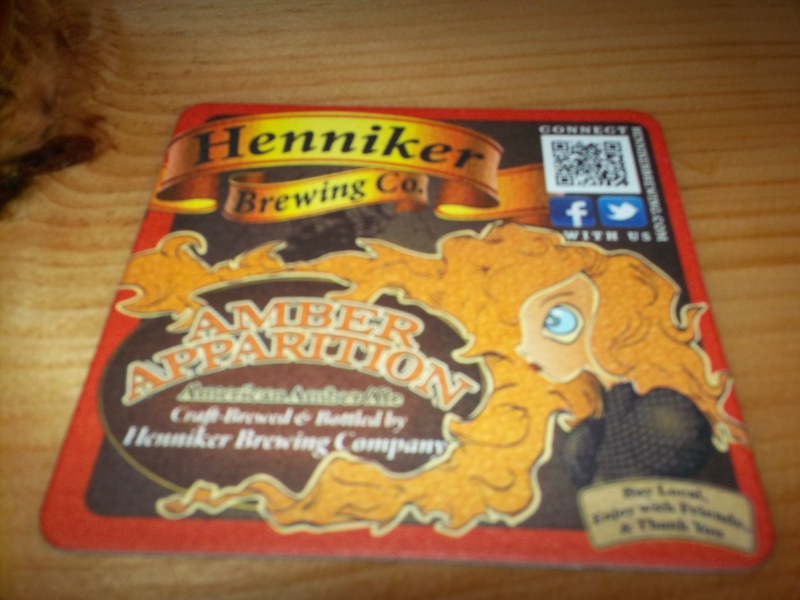 Henniker Brewing Co. is a good brewery to keep your eye on.